This week's top news and commentary about a proposed progressive income tax, college tuition for undocumented immigrants and a proposed state law requiring presidential candidates to release their tax returns. 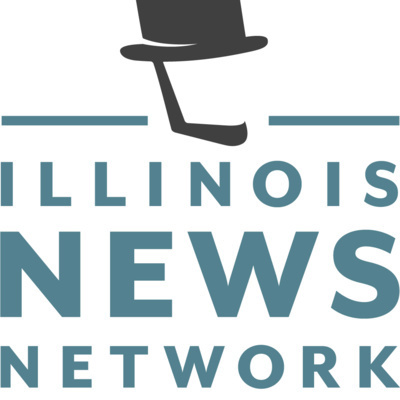 The top stories of the week and commentary from Illinois News Network Publisher Chris Krug and Executive Editor Dan McCaleb about pension reform, a proposed gas tax increase, the future of cannabis legalization and more. The top stories of the week, a look ahead to the final week of the 100th Illinois General Assembly and commentary from Publisher Chris Krug and Executive Editor Dan McCaleb about the state’s public universities’ budget requests, a Democrat who is saying no to House Speaker Michael Madigan, and more. Illinois News Network Publisher Chris Krug and Executive Editor Dan McCaleb about next week’s election and what the outcome could mean to the state’s taxpayers, the impact of a proposed progressive tax, and a study about minimum wage. This week, Illinois News Network Publisher Chris Krug and Executive Editor Dan McCaleb talk zombie cities, an expired union contract, and a high profile bankruptcy for a company that got tax breaks. Episode 4 of Illinois News Network's Illinois In Focus with the week's top news stories and Illinois News Network’s Editor Dan McCaleb and News Editor Brett Rowland talk about the lawsuit minority field workers filed against Democratic candidate for governor J.B. Pritkzer, an estimate of how much more Pritzker’s proposals would cost the state, a high dollar school administrator, and more.